Line a 15x10x1-in. baking pan with parchment paper. In the top of a double boiler or a metal bowl over hot water, melt dark chocolate; stir until smooth. Remove from heat. Stir in cookies; spread over prepared pan. Microwave white baking chips on high until melted, stirring every 30 seconds. Stir in extract. 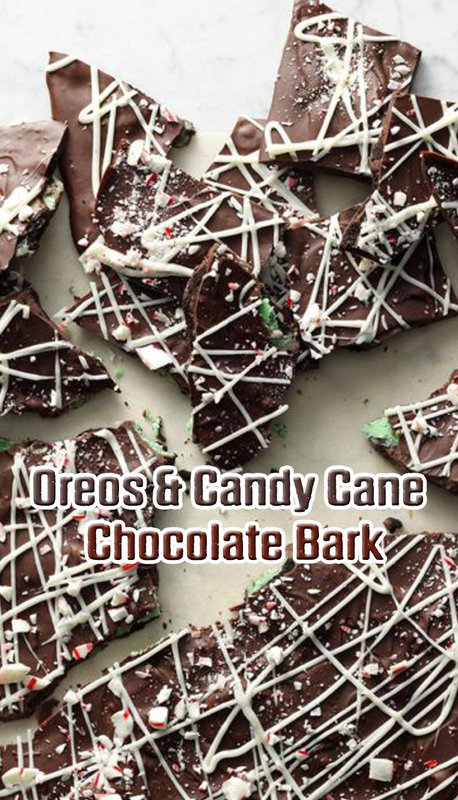 Drizzle over dark chocolate mixture; sprinkle with crushed candy canes. Cool. Refrigerate 1 hour or until set.